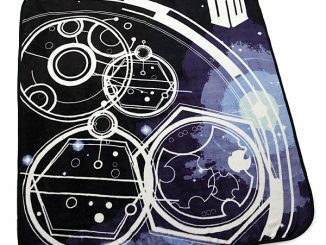 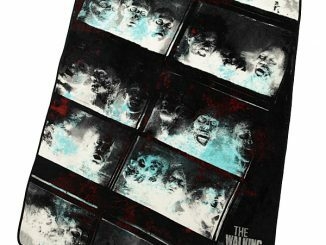 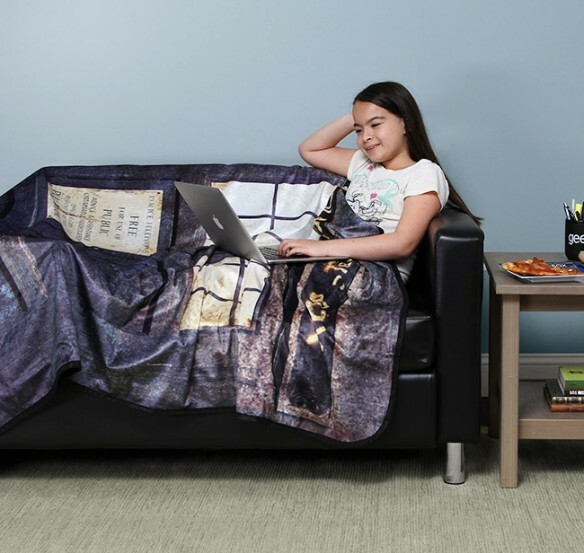 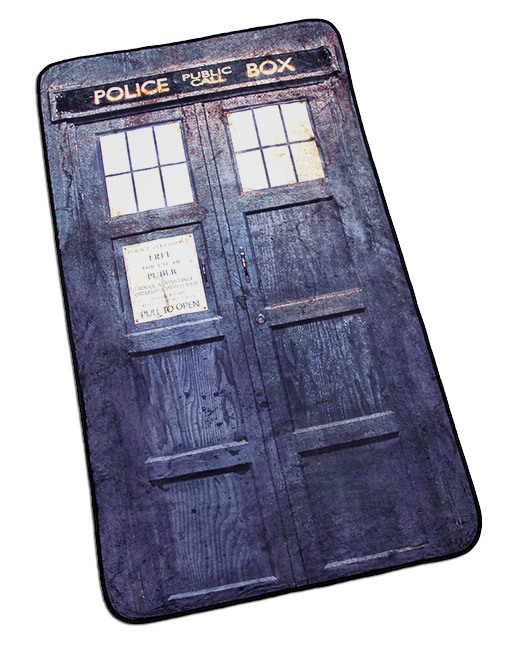 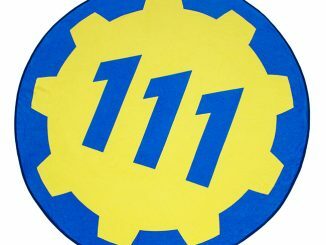 This Distressed TARDIS Blanket is perfect for getting warm while watching Doctor Who on TV. 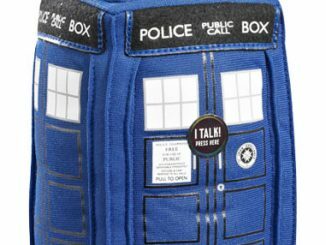 Maybe have a nice cup of hot chocolate too. 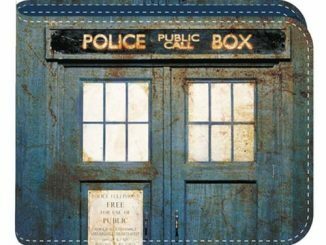 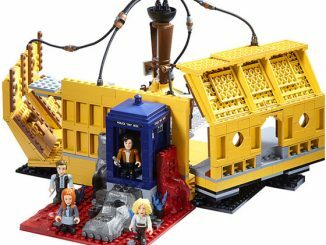 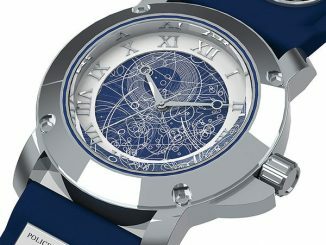 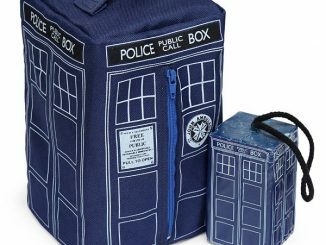 The TARDIS has a cool distressed look on one side, while the other is blank. 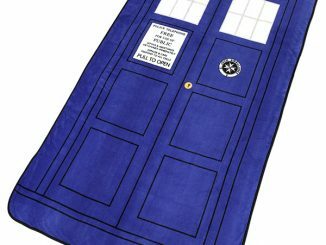 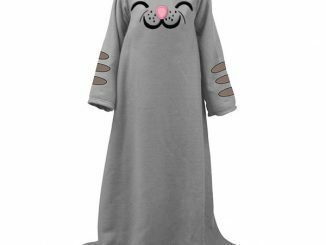 And sadly, this blanket is not bigger on the inside.